Why did I sign up with December House? After all, I’ve self-published books before, and enjoyed the freedom and control that offers. But when they expressed an interest in my manuscript I jumped at the chance to work with them. There were several reasons. One comes down to genre. See, I didn’t really know what type of book Engn is. I just naively sat down and wrote a book I wanted to write, without a thought for category or marketing niche. About half-way through the first draft a fellow-writer asked what sort of book it was. I have to admit the question threw me. You’re supposed to know stuff like that when you’re a writer, right? I probably muttered something about Gormenghast with steam engines and left it at that. But it was a problem. Engn is an alternative-world book, but there’s no magic. It’s perhaps steampunk – or maybe clockpunk – but not really SF because, frankly, some of the technology I use might not actually work. At least not in our universe. It’s an adventure story and the hero, Finn, is a teenager for most of the story. So, yes, YA Fantasy. More or less. But I knew that difficulty with categorization would be a problem for some publishers. Was Engn just too odd? A few agents and publishers rejected it explaining they couldn’t see how it could be marketed, where it fitted. Fortunately, December House saw it for the book it was. Marketing is not my strong suit, so that’s another reason I wanted to sign up with a publisher. December House are switched on; they understand the modern publishing industry and how to use the internet. They get how digital publishing works, and I’m not always convinced other publishers do. Twitter, Wattpad, LibraryThing, Goodreads – they’re all over them. I’ve come across some agents who don’t even have a web site. Incredible but true. Two other parts of the experience have convinced me I made the right choice for this book. The first was the editing process, which was a joy. A lot of work, mind, but very rewarding. Engn emerged from it a much stronger book. The second was the cover. Cover design is such a skill, and how to create a compelling cover for a novel like Engn? Frankly I had no idea. Fortunately December House did. They sent me 6 or 8 mock-ups to choose from. It was one of those moments in life when something leaps out at you and you know it’s right and perfect. So it was with one of those covers. Fortunately it was their favourite too. And so there it is. A cover that thrills me every time I look at it. Engn is a YA Fantasy novel, published by the UK publisher December House. It’s available in all eBook formats from July 15th. A stand-out novel from established writer of sci-fi and fantasy shorts Simon Kewin. In Engn he has created a truly immersive universe, from the idyllic valley where the novel begins to the mythology, mechanisms and vastness of ENGN. As you follow Finn’s dramatic journey of struggle, determination and discovery you can’t fail to imagine you are there with him. Finn’s childhood in the valley is idyllic, but across the plains lies a threat. 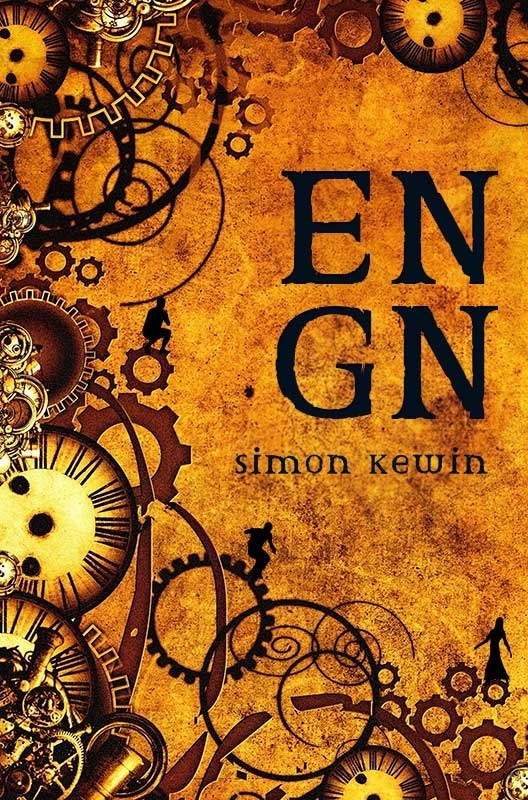 Engn is an ever-growing steam-powered fortress, that needs a never-ending supply of workers. Generation after generation have been taken away, escorted into its depths by the mysterious and terrifying Ironclads, never to return. The Masters of Engn first take Finn’s sister, then his best friend, Connor. He thinks he, at least, is safe – until the day the ironclads come to haul him away too. Yet all is not lost, Finn has a plan. In the peace of the valley he and Connor made a pact. A promise to join the mythical Wreckers and end Engn’s tyranny. But now on his own, lost and thwarted in the vastness of Engn, Finn begins to have doubts. Is Connor really working to destroy Engn?Or has he become part of the machine? 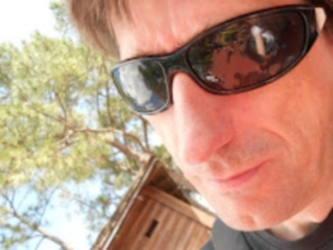 Simon writes fantasy, SF, mainstream and some stories that can’t make their minds up. He lives in England with Alison and their daughters Eleanor and Rose. Find him and links to his books here. Thanks for having me on your blog today, Sue. Much appreciated. I am a big fan of small publishers. My experiences (as both Frances di Plino and Lorraine Mace) have been nothing but positive. I wish you all the best, Simon.